This post is sponsored by Kindred. 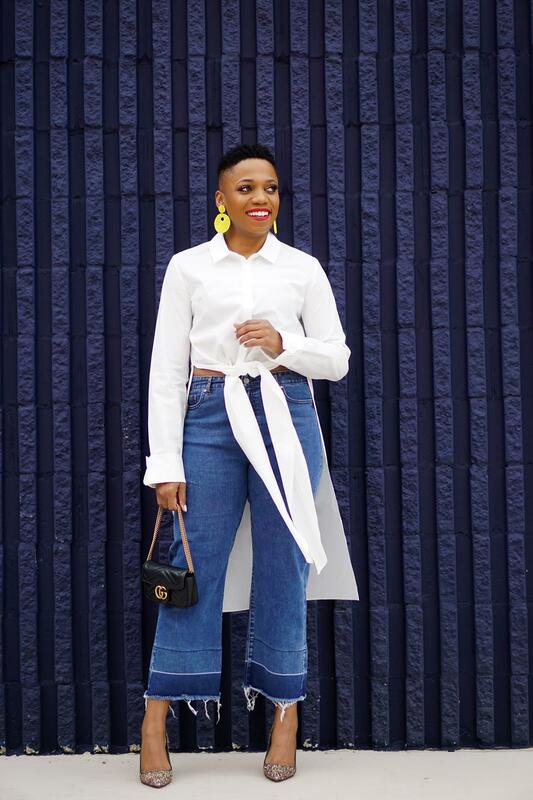 Chances are you own a pair of cropped, wide-legged denim. If you don’t, you absolutely should because the right pair can be super flattering. They’re also quite versatile. 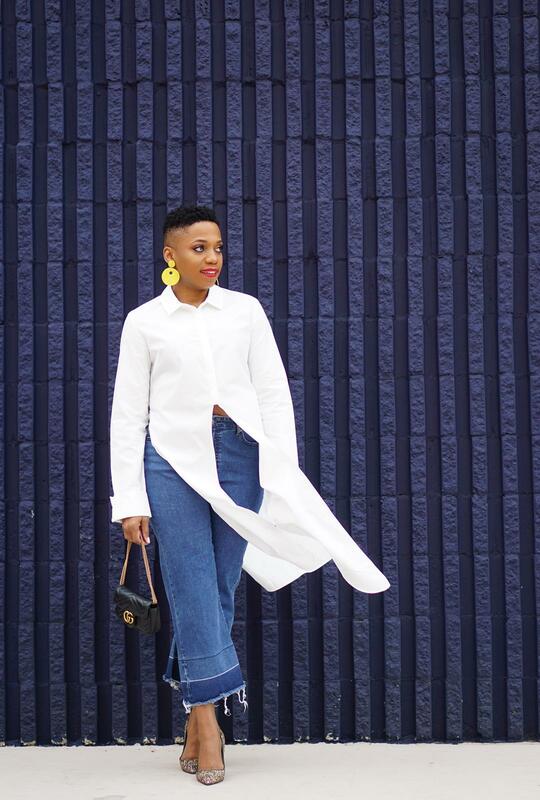 I’m sharing how I’m styling one pair two different ways this holiday season. 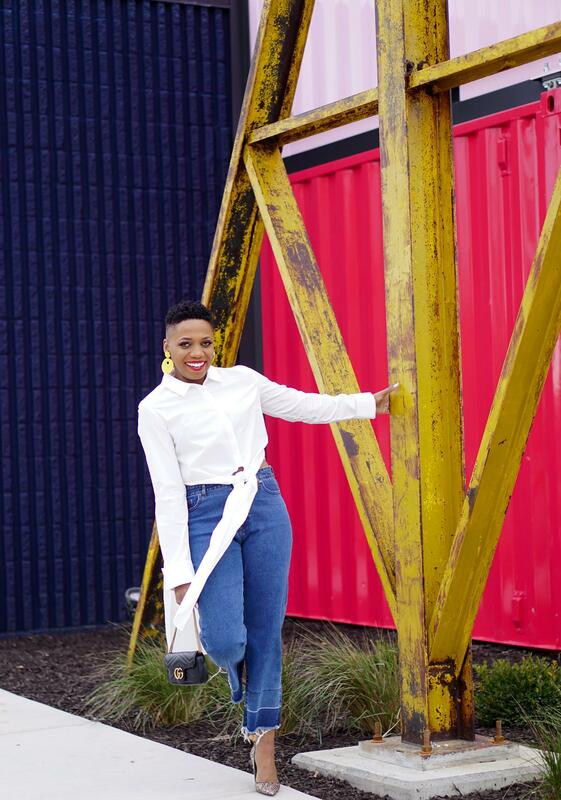 Holiday jeans style will take the pressure off getting ready for all the events of the season. One of my style goals for the rest of the year is to add a few unique treasures to my wardrobe. 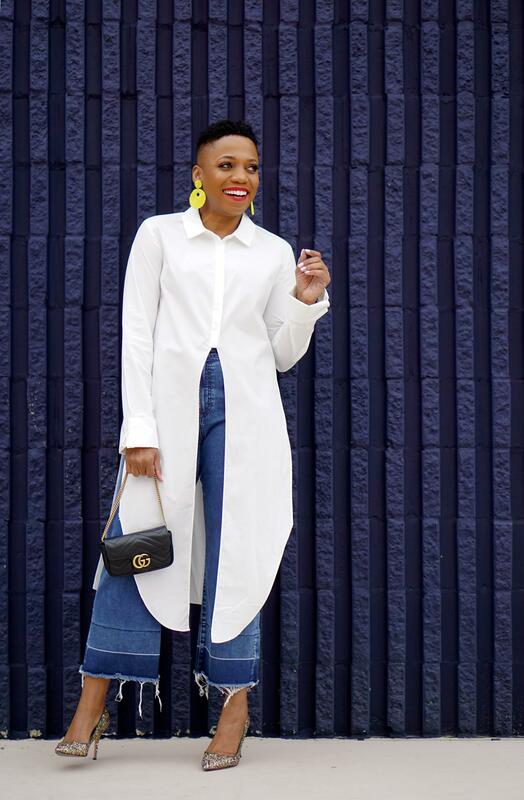 To find these gems, I’m planning to do more shopping on the local boutique scene. As always, I’ll be sharing the journey with you. The good news is that boutique shopping just got easier in St. Louis since Kindred opened. Kindred (read more here) is a collective boutique featuring 7 different boutiques. So, with one stop to its West County Center location, I have access to the merchandise of SEVEN boutiques. If you’re in St. Louis, Kindred is a must-shop this holiday season. Want proof? This top from featured boutique Juju B’s! I tried this top on in-store and immediately started dancing. I only break out the happy dance when my imagination runs wild with style ideas. And, the styling opportunities this dramatic shirttail offers are plentiful. You can let the shirttail hang in all its glory as I did above. Or, you can tie it for an even edgier vibe. I slipped on some glitter pumps and some bright earrings (from Addie and Ains, another Kindred boutique), and I was ready for some holiday fun. 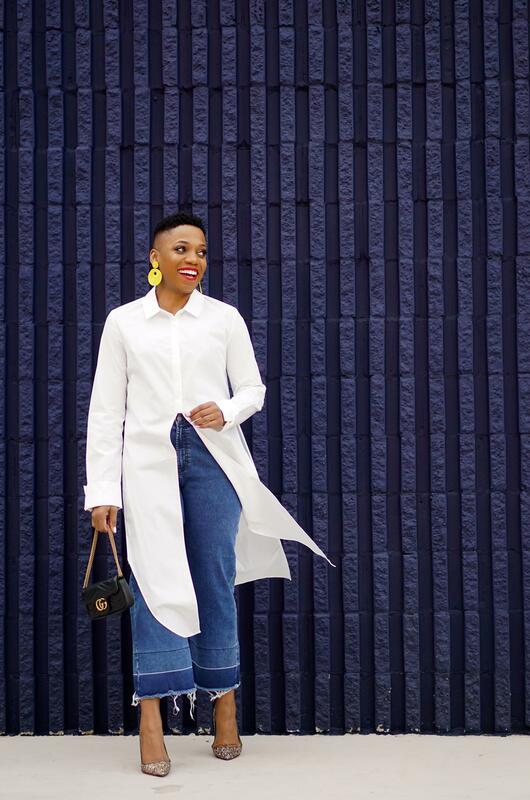 When it gets too cold for the styling above, here’s how I rock my denim culottes. 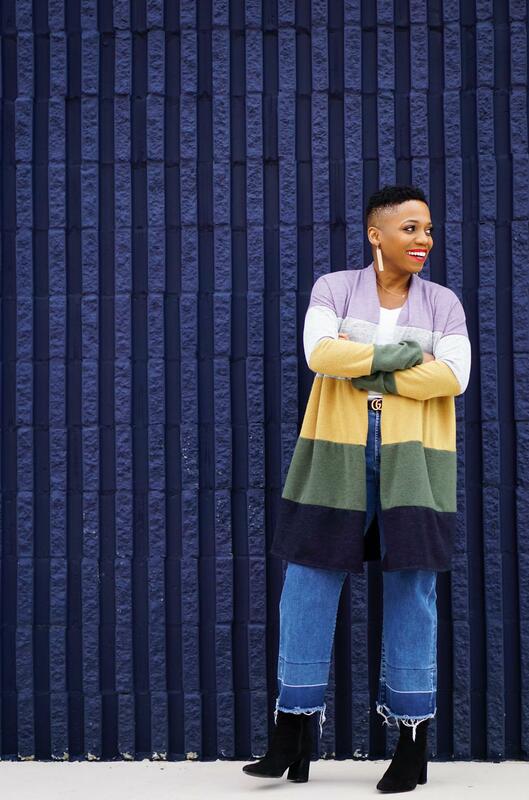 Long cardigans are style heroes this fall and winter. 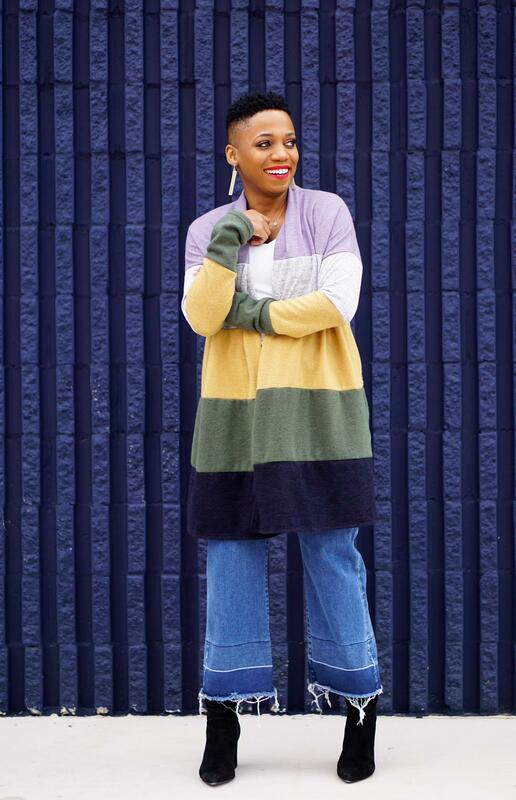 And, this color blocked style by Juju B’s in Kindred is stunning. 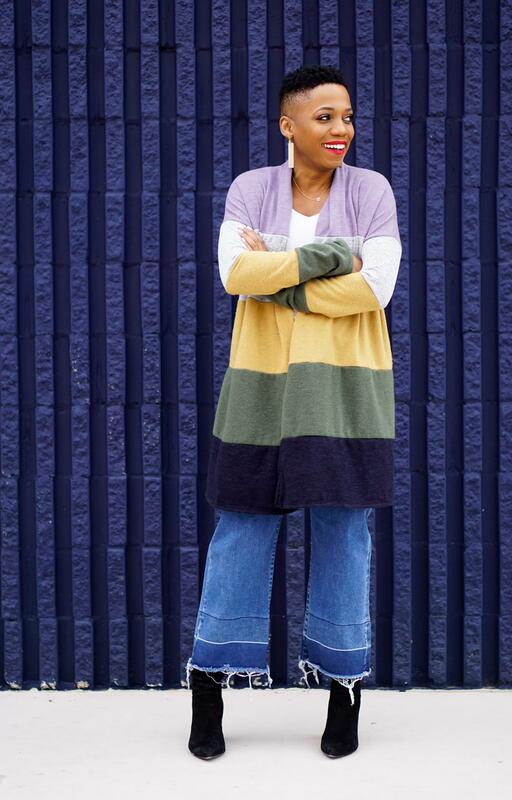 It’s the perfect piece to cozy up in when it gets cold, and it pairs beautifully with denim. 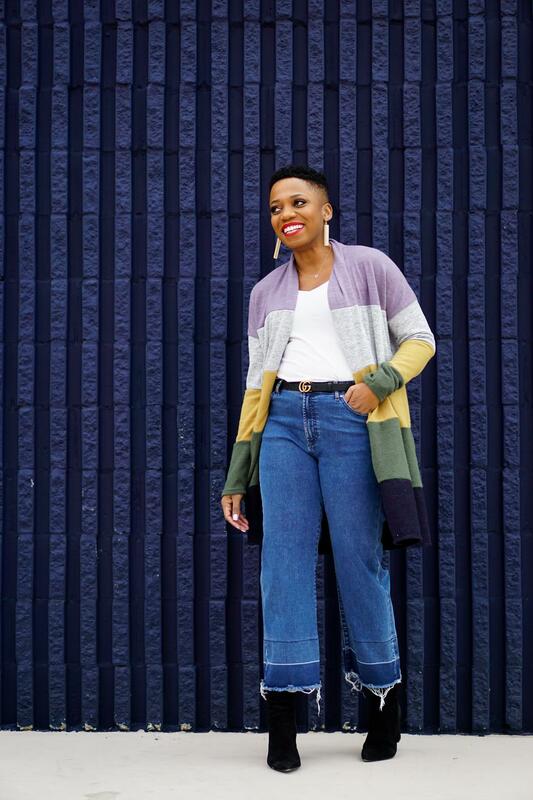 Once I added the long cardigan, all I needed were some booties to keep my ankles warm and to complete my holiday jeans style. 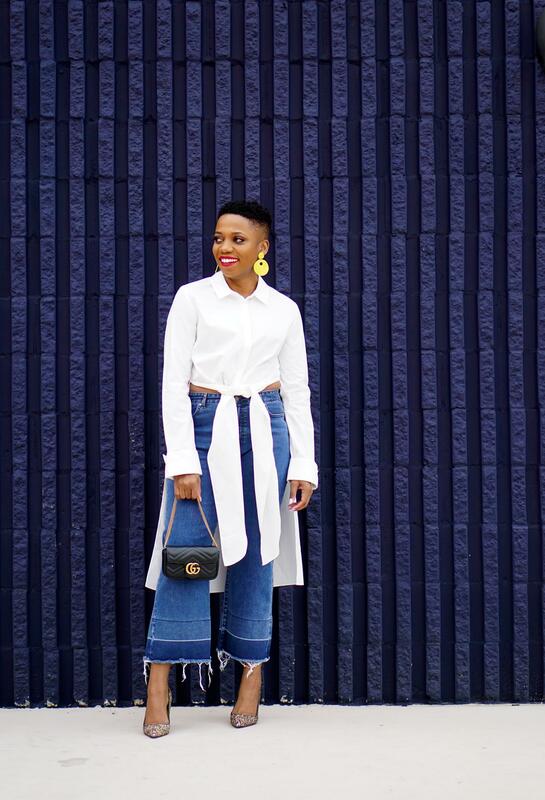 Don’t booties look amazing with cropped denim? Follow Kindred STL on Instagram for the latest news on the store. And, follow me at Economy of Style to catch all my Kindred finds. I love both ways! You nailed them. Both the jeans and the top are really pretty!